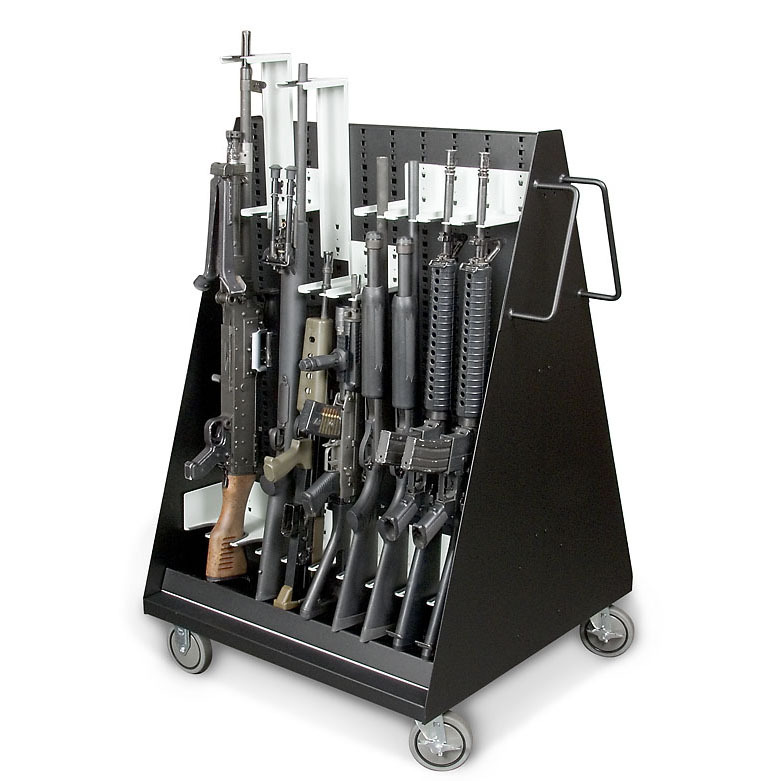 The A framed weapon cart is complete with four heavy-duty casters two rigid, two swivel with brake, welded steering handles, universal weapon back panels, and two sided. The cart can hold up to 20 rifles and easily adapts to new configurations (in minutes). Don't feel like locking down your armory to one room? Then don't! The Mobile Weapon Rack features the same back panels as the expandable weapon racks (double sided and easily accessible), but on wheels! The Mobile Open Weapon Rack comes in 34" or 40" widths and the following heights: 48", 64", 78", and 84"
Does your armory need to be on wheels, but more secure than a Mobile Weapon Rack? The Enclosed Weapon Cart features a double sided unit, secured to a 4 wheel caster base, and hinged gates. The Enclosed Weapon Cart comes with a 42" width, 30" depth, and 48" or 64.5" heights.